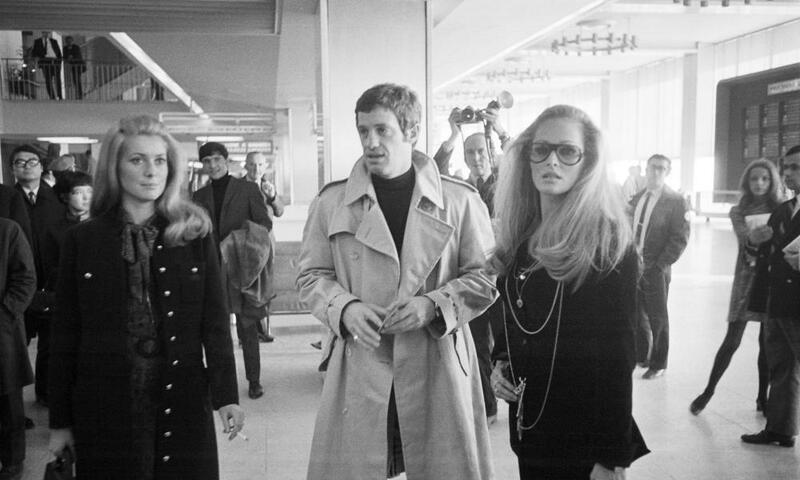 Flicking through A Journey in Style, a new book about celebrities in airports, there are certain themes that emerge. Sunglasses. Blazers. 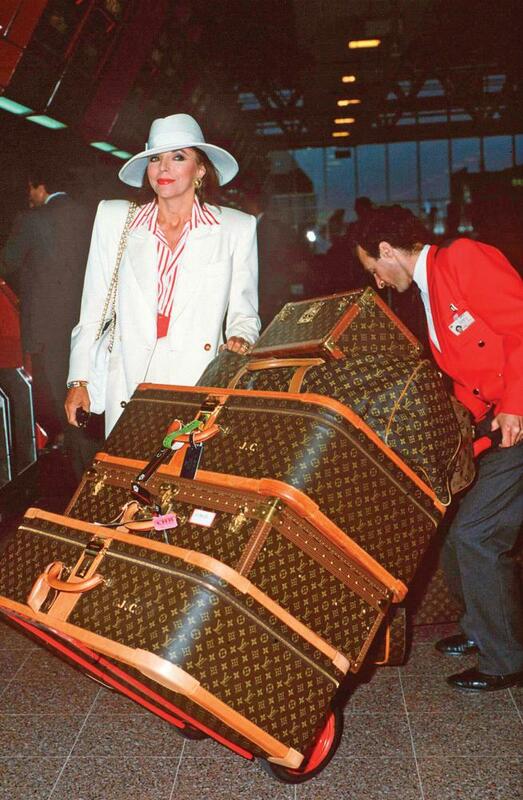 A lot of luggage (well, certainly if you’re Joan Collins). These are also, nestled in among the pictures of a pre-flight Twiggy reading a guide to Tokyo and Jackie O in a carpeted limo on the way to the airport, some stellar tips on that great airport conundrum: what to wear if you want to get upgraded. 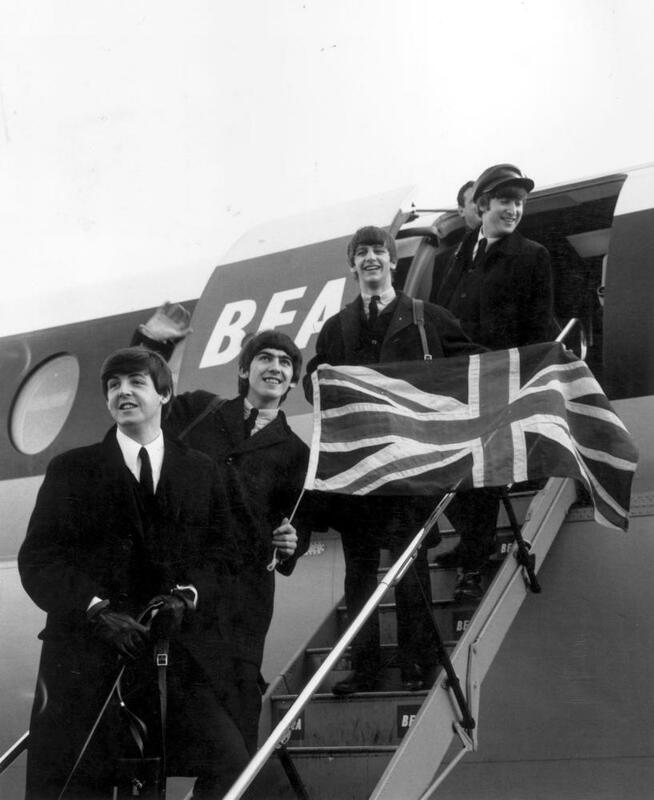 Of course, these celebrities at Heathrow are already turning left when they get on the plane. It’s the rest of us, crammed into seats that seem to grow smaller by the year, who could do with some help on how to get to the Shangri-La of lie-down beds, real cutlery and, with some airlines, inflight manicures. Dressing like a celebrity no doubt helps – so those shades, a blazer à la easyJet fan Kate Moss, and the kind of stretchy, expensive loungewear that Terminal 5 favourites from Kanye West to Victoria Beckham prefer (West even designed a so-called “Airport sweater” with longer arms as part of his APC collection). But what tips can fashion’s frequent flyers pass on? If it was once the more dressed up the better, these days that is seen as a bit gauche – as is anything too bodycon or self-consciously tailored. Elizabeth Walker, longtime Marie Claire fashion editor and author of A Journey in Style, says a white shirt is a novice choice – “it might look smart on take-off and not so good after a long-haul trip”. Think off-duty model and you’re on the right track – a pair of fashion-y jogging pants and a silk shirt is a winning combination. “Looking polished, but in a more effortless way, is the key,” says Natalie Kingham, buying director at matchesfashion.com. She recommends labels such as The Row, Raquel Allegra and their in-house brand Raey for the look, while high-street alternatives might be Cos and Whistles. Kingham also wears flats, but a loafer, or flatform rather than trainers. It’s a subtle, but perhaps crucial, difference that might be favourably noted at the check-in desk. Adrian Clark, style director of Shortlist, thinks the best approach is to “kind of sit on the fence [of] being smart but practical”, and so avoids a pile of expensive luggage as much as a pair of tracksuit trousers. “You are kind of damned if you do, damned if you don’t in regards to ‘dressing up’ to be looked upon favourably,” he says. Finding a happy medium, he does have a few rules: never wearing jeans, and always packing a few extra layers in his hand luggage. Accessories obviously loom large in the bid to get upgraded; rarely is the bag you carry quite as much as a statement as in an airport. Smart luggage gets you far, as does the carry-on bag you take. Fashion editors regularly travel with the Neverfull tote with skinny straps. A Longchamp Pliage is also acceptable, preferably a limited-edition Jeremy Scott one for inflight lols. Walker says her “current favourite is a Prada one with a colourful vintage print of Venice on it”.